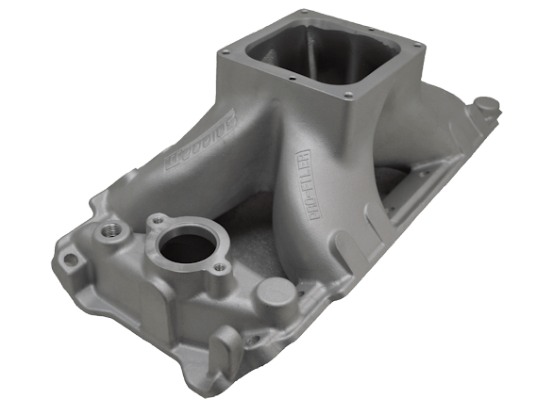 The SNIPER BBC Intake Manifold Series is designed with the perfect runner to plenum volume to maximize the power and acceleration curves of your engine. The SNIPER Series features cast injection bosses, 4500 series carburetor flange, four corner water bosses and your choice of oval or rectangle port opening. For a combination that is unbeatable, pair the SNIPER Cylinder Head with a SNIPER Manifold and watch your competition be blown away! Important - For optimum performance, Sniper & Sniper Jr. Intake Manifolds should be port matched to the heads you're bolting them to. Tall deck models require either a slip collar distributor or a distributor designed for a Tall Deck Block. There is not enough material in the intake floor to safely machine it to use a short deck distributor. 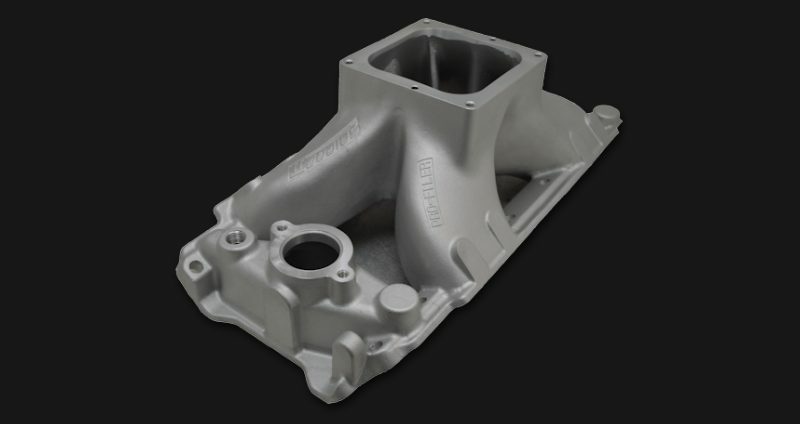 The Sniper Big Block Chevy intake manifold is available in 9.8 and 10.2 deck heights and with a variety of port configurations. "D" - Machined Opening to fit Dart 335cc and other heads with a similar port locations & openings. The "D" option based on a different manufacturer's specifications which may change without notice to us. Note: For maximum performance you need to perform finish work for a smooth transition to the head's port opening.